Shipping costs are based on the weight of your order and the delivery method. 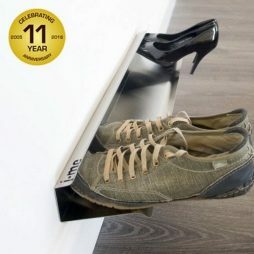 award winning shoe racks allow your shoes to simply ‘float’ off of the floor! 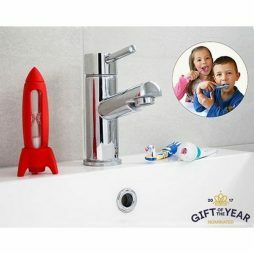 chose from free standing, wall mounted, horizontal or vertical, all in stainless steel or mild steel with several finishes. the perfect shoe storage solution for stylish living! 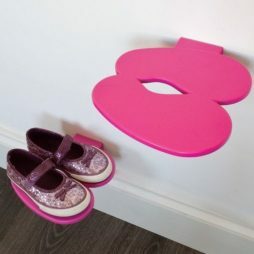 Unique fun kids shoe rack. If you’re fed up with finding your children’s footwear all over the floor, footprint is a really tidy solution. 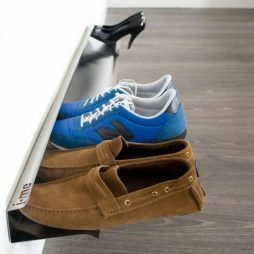 The horizontal wall shoe rack gives the appearance that shoes are floating off of the floor. 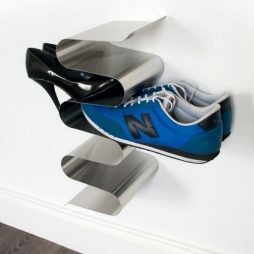 Nest shoe rack is another elegant & stylish way to store your shoes! It is great at holding shoes without compromising on space thanks to its vertical form. 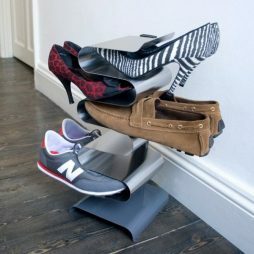 This vertical shoe rack allows the shoe rack to keep all your pairs of shoes well & truly out of the way. 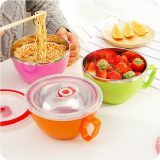 Its convenient & super sleek design allows you to grab your shoes quickly. An estimated delivery time will be provided to you once your order is placed. 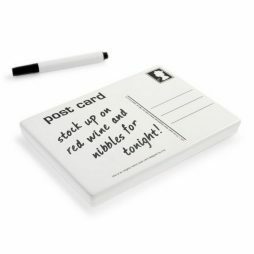 Delivery times are estimates and commence from the date of shipping, rather than the date of order.